Courtesy of Loopaza Mega Store we have our usual doses of Figure King Magazine Scans. 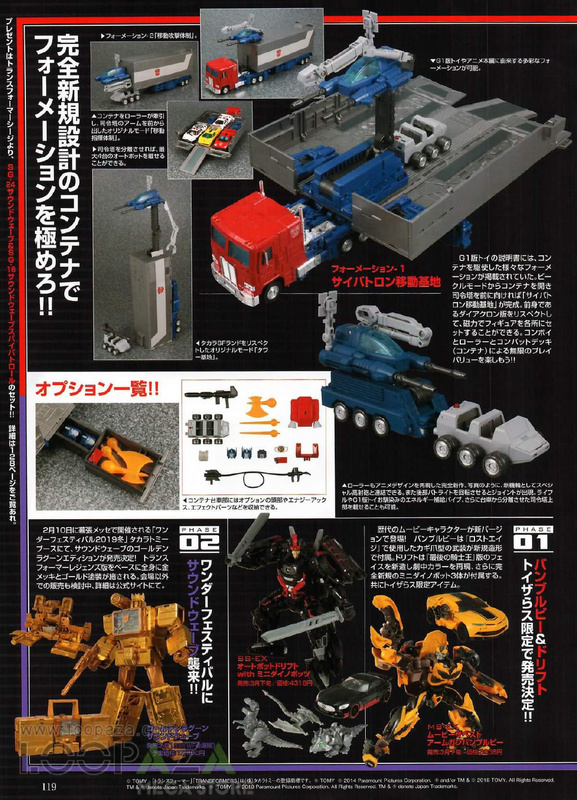 Issue #252 brings us images of MP-44 Optimus Prime, SS-EX Drift, MB-EX Arm Gun Bumblebee, and Golden Lagoon Soundwave. MP-44 Optimus Prime Ver. 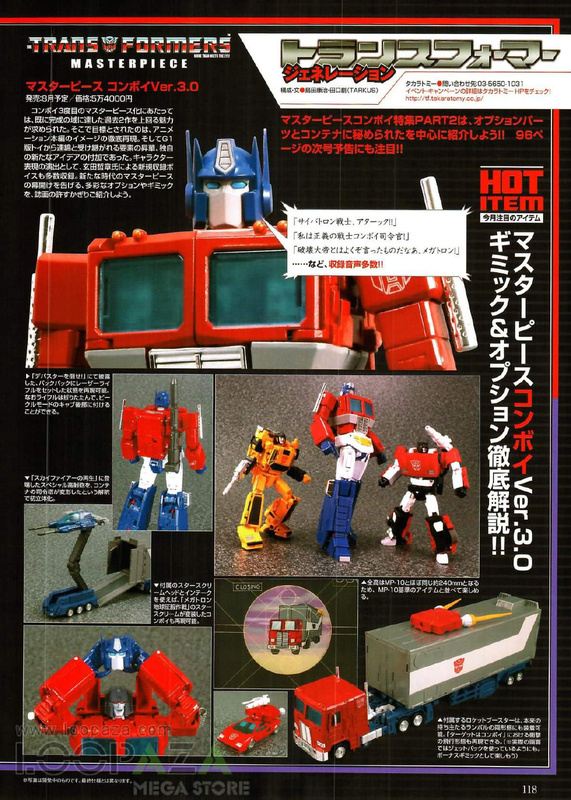 3.0 – The imagescover further details of Masterpiece MP-44 Convoy 3.0, sound effect, gimmicks (the jetpack will be compatible with MP Sideswipe) and a look at the storage in Prime’s trailer for all his accesories. Studio Series SS-EX Drift With Mini-Dinobots – ToysRUs Japan exclusive release of Hasbro’s Studio Series Drift. Movie The Best MB-EX Arm Gun Bumblebee – Another ToysRUs Japan exclusive release. This is a minor redeco of the Age of Extinction Bumblebee figure, and includes a new movie-accurate gun. Golden Lagoon Soundwave – Gold redeco of the Titans Return/ Legends version of the mold. Confirmed to be a Winter Wonderfest 2019 exclusive.